I was approached by Pam and Ian who had saved a Pitch pine beam from an old house they had lived in. 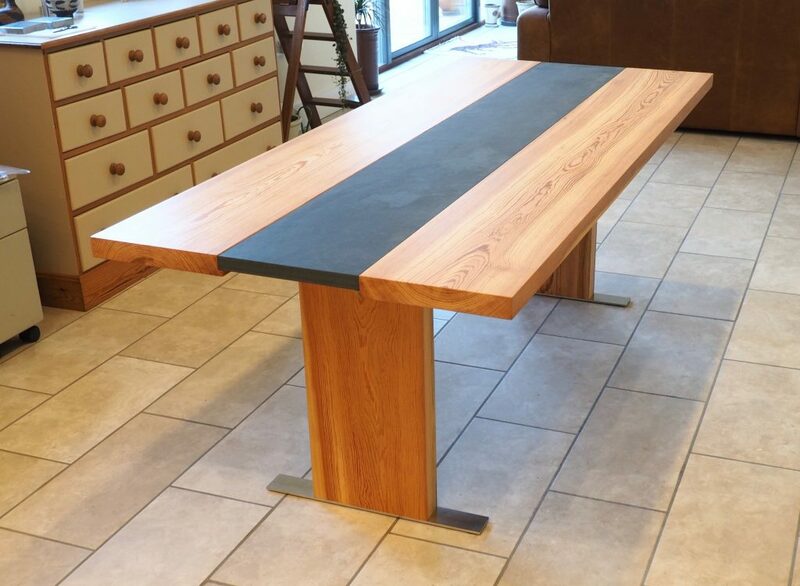 Ian a retired boat builder, had recognised the value and quality of the beam and wanted a dining room table made from it. 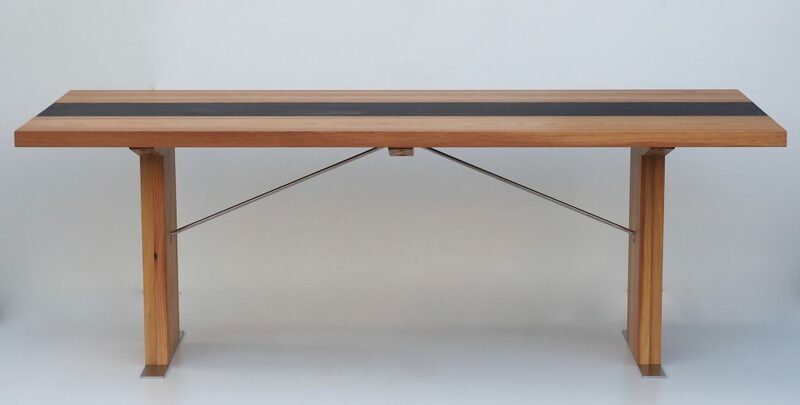 The table was designed to show the fabulous deep colours in the grain of the wood and to make the most of the volume of timber we had available. 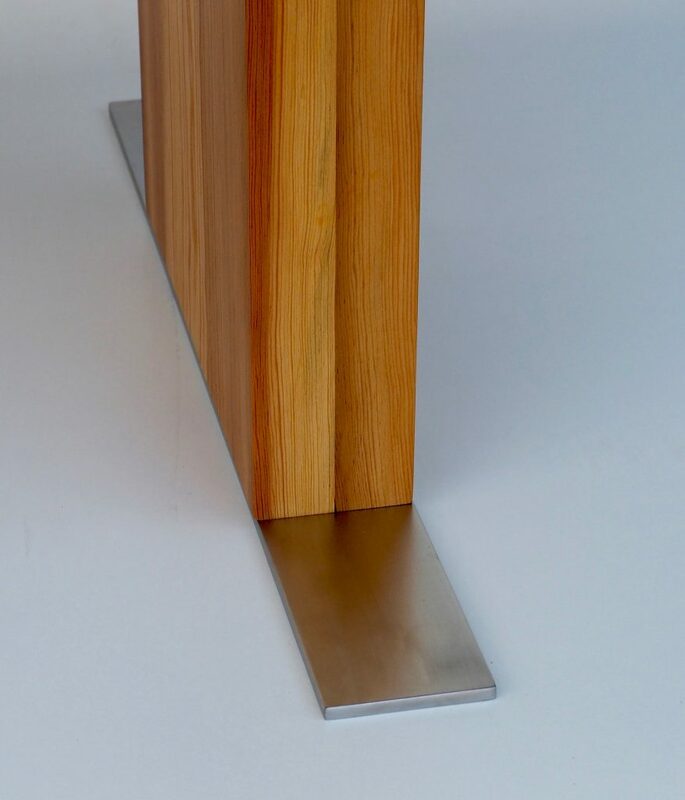 We used a piece of natural slate to form the centre piece of the table, and stainless steel braces to stabilise the table. 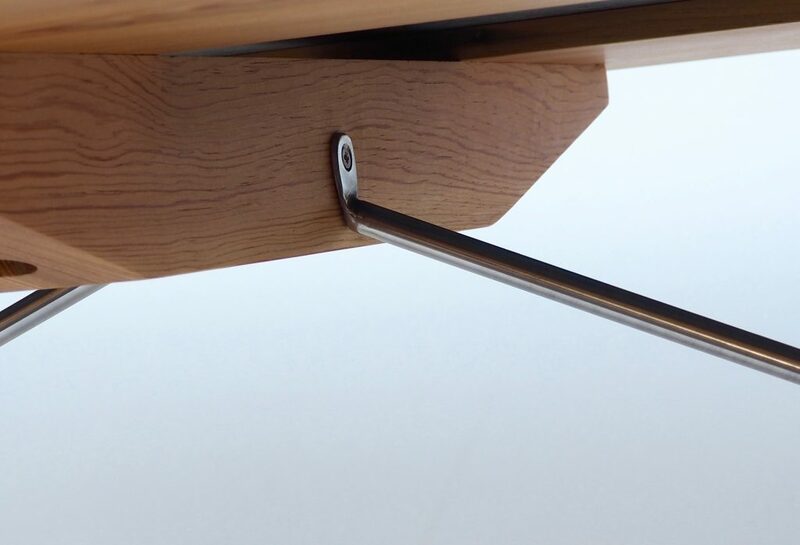 The whole design came together to create a contemporary table from 100 year old timber.